Publishers of various sizes are taking a run at the growing Switch market, and now Microïds can be added to the list. 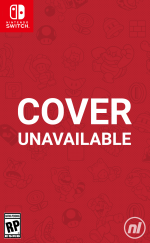 It's outlined its upcoming Switch eShop plans which include six games, including five that weren't previously announced. The details are outlined below. We've known about the third game coming to the eShop for quite a while, but now it's confirmed that the original game in this adventure series is heading to Switch; the above trailer is from the PC original, released in 2002. This sequel arrived on PC in 2004, and now Nintendo Switch owners will be able to catch up on the full trilogy. This was previously announced, with this latest entry in the series only released recently on various other platforms. This is an ambitious racing game that previously arrived on smart devices, so it'll be interesting to see how it stacks on on the Switch. There's split-screen local multiplayer racing and an online mode, with the claim made of 30 cars, over 400 races and '200 unique tracks'. Even if the reality is a little different, it's a racing game on the way to Switch! This was actually published by Ubisoft on other platforms in the last generation of hardware, and not all fans of the iconic original approved of the remaster. Nevertheless we'll see how it stacks up on Switch at the end of the year. This is a new project coming to various current-gen systems; it's an adventure-mystery game based on the graphic novel of the same name. Expect anthropomorphic noir due to the cast and 1950s setting. So there you have it, six games heading to the Switch over the next couple of years. Do any of these stand out to you? I can get behind some of these. Curious about the racing sim. Actually dl'ing Gear Club now. I won't get into it too much as I like my buttons but it will give me that overall view that I need. New games? Mostly not. Just the last game and that's not taxing nor looks very interesting. The others if budget priced could be interesting. I'll be picking up the Siberia Trilogy, & maybe Flashback & Gear Club!! I don't know anything about Gear.Club but I am very excited about a normal, real looking racing for the Switch (don't get me wrong, I love Mario Kart too!!). I just hope it has a good single player mode and does not forces you to be online to play (since it comes from smart devices where it is rather common unfortunately). This would be a deal breaker for me. And I really want to enjoy this game! @bluedogrulez polished? the video is from the mobile version. If they're reasonably priced I will probably pick up the Siberia trilogy. I recall hearing good things about it back in the day. @OrigamiSquirtle I think you havent played any of those games. Flashback is a very good game. A realistic racing game on a Nintendo platform, eh? If we get burned again I think I might go slightly mad. I'll give the Siberia trilogy a go. @bluedogrulez @LuckyLand @SuperVirtualBoy Just got done doing 2 races on my phone. Steering is done by gyro but works well and so far there's a ton of options. I think this will fill a nice void Nintendo has been lacking for years! Games looks good not great but let's see what they can do with buttons and a tv screen. A racing sim om switch, count me in for that!! I absolutely loved Flashback (on the Genesis and the SNES) back in the day, and I haven't read anything about the remaster. I'll have to look into that. The others I can take or leave, but it's always good to have more choices on the system. Siberia 1 and blacksad seem to be interesting. Siberia reminded me of yokos song siberian dollhouse. Has siberia a history of producing dolls or something like that? Siberia Trilogy looks very interesting. I'm def interested. Gear. Club seems neat. Hopefully the best version will be the Switch version. Anyone who hasn't played it, ignore the reviews and be sure to customize the game before you play as the options menu is quite specific. Can't say the other games here have me thrilled to be honest. I'm sure they're fine but not feeling it for switch. They seem either too boring or low quality. C'mon Nintendo- get us more third parties and metroid too. out of all the games here. blacksad seems the very least interesting game on this list for me. The Syberia trilogy will fill a nice void. They are solid modern adventure games and I can't wait to play through them back-to-back on Switch. Hopefully all three release in a similar timeframe. Gear.Club could be a great fit, if they spruce it up and performance is ace. I'm certainly hopeful. Finally, please be the Blacksad game the world deserves! From what I know: Syberia 1 is good (I liked it). Syberia 2 - not so much (haven't really played it). 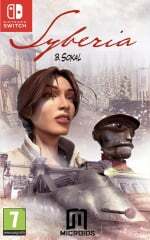 Syberia 3 - oh how far the series has fallen (I read just the reviews). As for the Flashback title, the new isn't considered good by any means and even the version of the original title that came with the remaster had some issues. I am so happy that Syberia 1 and 2 comes to switch.I just hope more adventure games will come to switch in the future. Nothing wrong with more games on the platform! At the right price I can be persuaded into wanting to get in on a lot of these! I'm intrigued enough by the Siberia games, and I'm glad they're not just bringing the third one, since I have no clue what they're about, and starting with 3 seems like a bad plan! As a grown adult manly man I will say..... I actually still want Cars 3 more than the Gear game here. A racer that is not a futuristic and includes blue shells. I will play it safe on gear club...we'll see how polished it is. Hopefully Switch can handle the engine. Yes Flashback, not really a fan of the remaster version but if the original is unlockable then I'm definitely picking it up. Well, happy to see more games announced for the Switch. Those comics are amazing, and you guys can put something much nicer on this page than that trailer. I'm surprised these guys get to handle that game and not TellTale, but I guess TellTale are too high up already for that kind of fare. I wish they would have still finished their Bone game though. I like the look of Blacksad. I hope the game does it justice. @Pod Wait...there is a Bone game??? Nice... I plan to get Siberia Trilogy and Gear Club. TellTale's very first episodic game was Jeff Smith's Bone, yes. They only got two chapters in (each of the nine books were planned out as a chapter) before it was canceled though. But it did get them started and proved to others that the model could work. @fungusar You're totally right, I haven't played any of them, so you definitely shouldn't listen to me! Oh this is good, really good. I know nothing about Syberia, what the game play is but I'm intrigued. Racing games with proper cars (and no flippin' shells) are my favourite genre, so I'm excited about Gear club. And Flashback? That Flashback that I played on the Amiga with its groundbreaking graphics and rock-hard game play? Never finished it. No Internet walkthroughs in those days. @mjharper Sadly I bought the Flashback remaster on PS3 a few years ago and it was pretty shabby. The best thing is the original 16bit game was available to play as an option. I also loved the original and played in on the Amiga (talk about the way back machine). If I remember the grafx in the update were eh, ok, but the controls were sloppy which is just not a good thing for a 2D platform game. Now we are Talking! I will be broke buying every single one of these titles! @Spoony_Tech I'm all over gear club. Actually every single title here interests me. I'm so happy with this announcement. I wish that Gameloft would also join in and bring their games to switch. They used to do quite a bit with Nintendo. Edit: actually not much interest in Blacksad but the rest looks good. Of course prices may matter too. They have taken price gouging to a new level on the Switch Eshop so far. Less than 6 dollar Android games for up too 19.99. Of course they are better on Switch with a controller and all so we will have to see. Im shocked that the Rally game on 3DS has never once got a sale. Its a 1.99 android game they sell for 39.99 in the 3DS eshop. I wish they would do a complete price change on that one. Hardly anyone has bought it, so I guess they would rather see it die then sell copies at a lower price. Aw yeah, point-and-click adventure games! I played Siberia 1 on PC, so I'm stoked to play pt 2 & 3. As for flashback, I was hoping for the original but I'll see how the remaster turns out. Gear.Club I'll have to wait and see and Blacksad seems interesting but the illustration is peculiar lol. The Syberia trilogy definitely, thought the reviews of 3 were a bit meh on other platforms. But this is one of my favourite genres! Broken Sword too please, whoever does that. "and now Nintendo Switch owners will be able to catch up on the full" aka the best kind of Switch release news I can imagine. XD :3 All the more welcome to see Syberia get this treatment - I was fascinated by what I tried of the DS version but soon demotivated by reading of the sheer amount of the removed content. Now there will be all three games to play and you bet I'm getting them all. Same goes for Flashback - the remake looks interesting and I loved the original - makes sense to own it properly now (I did pay for the Genesis version back then, but there's no way in Tartarus it could be a licensed cartridge). Gear.Club seems to promise a freemium's expansive load of content for a one-time price to get the BULK of it at the very least - yesplease/10. Blacksad looks like anthro noir and leaves me curious... I'll say, this is one rich newspost as far as my Switch wishlist goes! Gear.club looks very interesting indeed. Great news. Noooo! Wtf? Did i really see flashback!? I loved that game. All the games in that list put me back on the hype train. Man i love the switch. Definitely going to get the Syberia Trilogy. Looks really good. Excited for Syberia and Blacksad. I am digging point and click/graphic adventures these days and if Switch becomes a home for remakes, remasters, and new additions I may get one. Not sure how good any of these games will be but the Switch library starting to give choices Wii U never offered. Looking forward to next week! Just discovered and DL'd Broken Sword on my SGalaxyS. Love it. Point and click is my new old favorite thing. I played many of the classics to death in the 90's and hope to see tons of remasters on Switch. Star Trek the 25th Anniversary, Hand of Fate, and every Telltale and Lucas Arts title please. I can't believe Syberia 3 is a thing. I really enjoyed the first two games , but never thought I would see a third one due to never hearing anyone about it. Let alone, apparently there's a Syberia for the DS that I can't imagine being great, but theres almost no info on it as well as other point and clicks on the DS that are kinda lost in time.. Plus, point and click games really need to make a comeback. I've been waiting forever to hear another word from Starr Mazer and my heart weeps for Monkey Island to come back and fight like a cow. With Flashback I hope they haven't replaced old sprite artwork that has a certain charm with low poly count (hexagonal tree trunks) that looks soulless and dated. (Wonderboy TDT has spoiled me). Can get Flashback for PS3, will wait for Switch. Best thing about the Flashback remake? The original was included as well. Hopefully that's still the case. I'm glad they bring Syberia 1 & 2 as well so I can play them in order before starting with the new Syberia 3. I wouldn't have bought Syberia 3 on its own as I never played any in the series. I'm a huge point&click adventure fan though. Hope they'll be on retail. Microids is def bringing the goods. 3 Syberia games, A flashback remake we can actually look forward to, a racing sim that while not pushing polygons is LONG overdue, and a graphic novel that we'll get to enjoy at the end of 2018?! What the?! Edit: Oh no. Are they just porting the last gen version of flashback, the one that was received poorly? 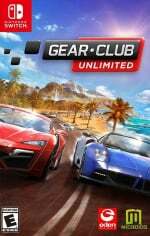 Hmm, I do realize that Gear Club was created as a Mobile Game first but I am going to at least hope that Eden Games can at least put forth some effort into giving the Switch some online presence that they gave to the Test Drive Unlimited series on the Xbox Platform, as I believe many of the people are way underestimating exactly what Eden can really put out there in a racing game, they have a strong heritage of doing so. @mjharper The reviews were pretty bad. 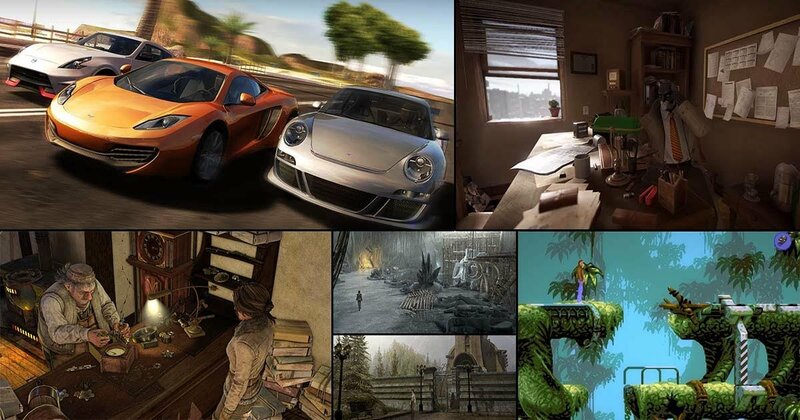 Really Eden games developed great racing games, as I mentioned, the franchise V-Rally, NFS Porsche (Yes, they were credited for the PSX version, but, I guess that also they worked in the PC version, hehe) and, yes, Test Drive, in their versions Unlimited 1 & 2; these last, really GREAT racing games (Open World, Many cars, traffic and police challenge, misc). then, yes, with gear.Club, is great game guaranted; I hope. and, about that this game is a mobile game, but, is needed a super smartphone, not any smartphone for play that game. The Syberia games look interesting. I had no idea there was a Flashback remake.I absolutely loved that game on the Megadrive.At the time it was considered to have the best animation yet seen in a video game. Don't know about the third one though, since I only played the first two, but those I can definitely recommend to any fan of the genre. And contrary to bad reviews, the Flashback reboot really isn't that bad. The view on the old one suffers WAY too much from rosy-tinted memories and especially when judged on its own merits, it's actually quite an entertaining "2.5D" platform game. I have it on PC and I quite liked it. Yes, it has its tiny flaws here and there, but overall, the experience was still positive. And FINALLY an actual racing sim on a Nintendo platform? That's good news indeed, and the company responsible for it (Eden Games) has a pretty decent track record, so this could actually be a very interesting addition to the Switch software catalog. Blacksad is probably the most interesting idea to me. I just need to see the backstory of the graphic novel to see if it is the type of narrative I could get into. I played some of Syberia on Android. It's just a simple puzzle game about moving around places and tapping places to solve puzzles or pick up objects. Only difference to most of the similar games, it has an excellent story, but I didn't get far in. Not entirely sure I want to pick up though for the Switch. I can definitely vouch for the first two Syberia games, having played them on PC ages ago. Heard 3 wasn't that good, but I haven't played it myself, so... yeah. @Whopper744 at 51 years old I have no problem at all playing "Kiddie" games. That's what video games are all about!! A great game is a great game period and Cars 3 looks pretty damn good. Shantae, duck tales, Aladdin, Disney afternoon- I can go on and on lol. My wife makes fun of me. Came for a developer I've never heard of. Stayed for visual novel Catman. @joey302 haha im 52 and I loved a game on 3DS called Disneys Magical world. But what people dont realise is that its an open world action RPG. Most people think its a sim game. But it has a kiddie theme. My wife makes fun of me too. Keep on gaming Joey! @Windy cool! Can't wait for E3!! And as far as I am concerned, I think more of us should start to feel/realize that its always good to see more good stuff coming to the Switch, even if some of it is pretty dated, but at the end of the day, a good game is still good, and since no dedicated Nintendo gamer ever got any of those games, they're still "new" in that respect and a worthy addition all the same. @PlywoodStick I put up some gameplay footage of several of the games in comment #76 and I can personally vouch for the Flashback remake being a pretty decent game, as long as people aren't constantly going to compare it to their rosy-tinted 1992 memories of its predecessor, since it isn't an exact copy. Some changes/additions have been made, but I certainly had a good time with the PC version. I can't wait to finally play the syberia series! Those seem like some depressing games. Microids? I think they make an ointment for that. @Windy as far as these games def gear club unsure about the rest. Siberia not really grabbing me as I'm more an action/arcade kinda guy lol. But it's great to see Switch getting the variety that a library needs! But plenty of other Switch games in my sights. 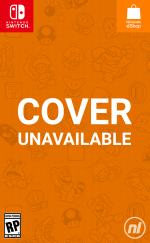 Shantae, Oceanhorn, Axiom Verge, Splatoon 2, Namco Museum, and quite a few others! Wish they'd get that virtual console going!! Another hopeful E3 announcement??? @ThanosReXXX further, I wish we'd see those Atari flashback collections on the Switch or at the very least Nintendo strike a deal with Atari to get their classics into the Switch eshop!! Never heard of Gear Club before, but Eden are the people behind the excellent Test Drive Unlimited games from last gen (and also the sweet "b-tier" PS2 Platformer, Kya: Dark Lineage). They don't make bad games. That's interesting (and a little sad) to see they've been pushed to the realm of mobile, but hopefully getting this on Switch is the start of their dedicated gaming hardware comeback. They don't deserve to fade into obscurity. Flashback's f***ing terrible. But its worth hunting down videos on Youtube just to hear THE. WORST. DELIVERY. of the word "Awesomesauce" in human history. Holy sh**. I get why Ubi dropped it, but I have no idea why Microids - or anyone - would ever pick it up again. That reboot needs a reboot. smh; put out the original version on modern hardware (a la Another World Anniversary Edition) and we'll talk. But the Flashback remake needs to stay buried. I won't be touching any of these, but happy to see more Switch support. The book, I mean. Not sure about the game. I am glad they are bringing Siberia to the Switch. I love this type of game it lets you chill out after a bad at work. I remember Flashback but not sure if I played it but looks interesting. 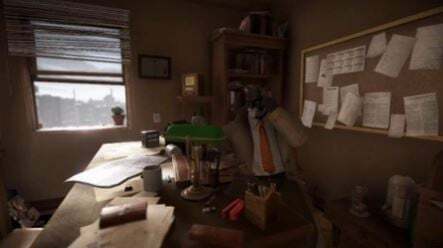 The trailer shown for Blacksad looks fantastic, hopefully the game has the same tone/atmosphere. I'll check the first Syberia game out, looks very intriguing. @joey302 My two biggest entertainment loves are Disney and Nintendo. My wife will join me daily sometimes in games like Mario Kart, but isn't quite as crazy as myself. If I didn't live in WV I'd try to work for one of the two. I don't own Switch and I don't intend to own one (still too many unfinished games on my 3DS with still lot of new coming), but I've been fan of Microïds since the first Syberia game (and fanclub member). I love Benoît Sokal's artwork (I played all the games he ever made like Amerzone which is a "prequel" to Syberia, Paradise - both the PC and DS version and Sinking Island) and this is really great news. 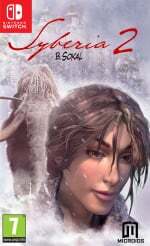 I have both Syberia 1 and 2 on PC and I'm getting the third one on PS4 (still thinking about buying the collector''s edition), but I strongly recommend it to anyone who loves click&point adventures. The story is very beautiful. I see people being disappointed calling it even boring, but don't judge it by cover or release date. Yes S1&2 are quite old games, but perfectly playable even today. I can't even count how many times I replayed the games like 10 times each at least XD I even played the first on DS XD too bad not even one for 3ds still glad they work for Switch . I have no idea how it will turn out but Blacksad does seem interesting at least. Tons of point and click games over there, both old and new. @Mainsaile Here's hoping for a point and click comeback! I do still play a number of the games from back then, and if you're interested, and have a DS with a flash card or a modded Wii, then I can heartily recommend the Stella emulator, it's the best Atari emulator out there. @Whopper744 lucky you! My wife has absolutely no interest in video games lol. At least she's a good girl though so I'm lucky in that sense. She messed with Tetris and Ms Pac Man way back & that's about it! I'm glad! I felt like the only one who remembers this title. Did 2 even leave off on a cliffhanger tho? I remember a more definitive ending, than a story that would return once again. How was the DS one? Voice acting? How limited was it compared to the PC version? @joey302 That would be sweet for an atari collection all converted to HD. I had a very large atari collection myself. But my dad thought selling it at a garage sale years ago was a good idea. In 1983 or 84 I had just moved out and left a couple boxes with my name on them in my parents garage. My dad had a gArage sale one weekend and went through my boxes which included my atari 2600 and 100+ games. He sold the entire set for 10.00 dollars. I was so mad! I never really attempted to rebuild it though. @Whopper744 do you have Disneys magical world on 3DS? You guys would love that game. I like the first game a bit better than the sequel but both are really good open world RPG games with a huge amount of Disney characters to interact with. @Windy that's terrible man jeez!! 10 bucks?? That was like 5 grand worth of stuff lol. My mom threw 4 shoeboxes of baseball cards out when I was a kid smh! I'll stick to my own rules then. albeit in no particular order. The DS version was pretty decent, but perhaps because I played it over a decade ago (and literally knew what to do in solving puzzles XD) and I'm hard-die fan of the series. Sadly if I had to recommend a pick between PC and DS, PC would win. The DS version lacks any voice acting and the awesome music have been downgraded to some weird loop. It's also important to bear in mind they didn't customize the game for DS, they basically just made it fit into the screen so it's very low quality even though the touch screen function feels perfect for point and click. But the story and music leaves me in amusement every time. I had a better experience with the DS version of Paradise, because it felt different compared to the original. If I had to use comparison then playing S1 on DS felt like when I was playing Myst on 3ds. Maybe it's just me, but the controls are somehow frustrating and makes the game quite hard to play. If you don't mind playing games that are old and are not avaiable on handheld (just PC in this case if I'm not mistaken) Anuman (which Microids is under) published Still Life 1&2. Maybe you already played it before, but it's one of my favorites. And the Dracula series (both S1&S2 and Dracula series are out on mobile platform if you prefer it over PC). A very informative and appreciated rant! I was always curious of how much of a full port is was over to the DS. Sad to hear about the music on the handheld, but what can ya do. Impressive and strange that it even ever came out on the DS. And YEAH, Myst was extremely clunky on the 3ds, bafflingly so. Never herd of Still Life, looks super interesting, thanks for the tip! @cheonsacz Definitely Disney's Magical World on 3DS is just good old fashion fun. Very well put together which any Disney fan and a fan of Open World RPG's would enjoy. It has some minor Sim aspects to it as well by running the restaurant but I find that I'm hardly there to run it lol. OK I installed Club. Gear to my Samsung phone. The game absolutely flies on my phone. I opened up the first set of New tracks and bought a new car. The game will be a wonderful edition to the Switch. I just hope they Don't Price Gouge us to bad like they did with the Rally racing game on 3ds which had about 50 buyers and still sits there at 39.99. Talk about stubborn. They would rather see it die before they lower the price. The game costs 1.99 on the android market btw. Club. Gear actually looks like it could be fairly expensive as they don't sell the game. They sell cars and they don't come Cheap. They run 9.99 each. For myself I would get it if it's priced at 29.99 or under. With online play it will be great fun. Any higher and I would like a retail release. But the Switch right now isn't doing many retail releases. @joey302 haha I still have boxes of baseball cards. I haven't looked at them in years. I've been thinking back in my mind to give them to my kids. @Windy I'm sure as I'm breathing those baseball cards are worth some decent coin so hang on to them bro!! Yea give them to the kids! That's what I'm gonna do with my game collection- give to the kids if I don't need retirement money lol! Love the Siberia series I'll be getting them all and flashback looks interesting too. @Windy going on 54 , different game same response ditto... She said it's me or the games, I'm single again yay!!!!! @Windy I wanted that rally game but not until it discount s.
I would love to see the original Roller Coaster Tycoon on the switch. But it will never happen. @SyFyTy hahahaha. Games have been a discussion in our house for years. My wife isn't a gamer. Would love it if she was. But years ago I really went overboard playing EverQuest. So I made a deal that if I was needed for anything I would hop off. It's worked out for all these years. I actually have cut way back on gaming. I have more time than ever and only play about 10 hours a week now. Back then it was bad from the time I got up till bed. Plus I worked and played pretty much all my time off. It was pretty crazy. I ditched Steam completely for GOG years ago. Couldn't be happier. Syberia 1-3 is great stuff, but Flashback 2013 is a really horrible version. Cuisset should just release the original 1992 game instead of the crappy 3D remaster.